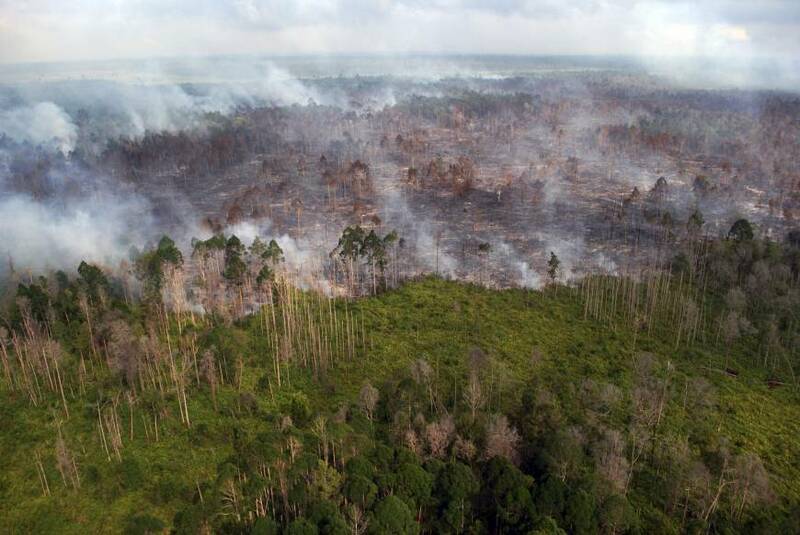 Indonesia’s moratorium on issuing new forest-clearing licenses will come to an end on Saturday. The scheme was introduced in 2011 to stop the rapid conversion of forests and peatlands to cater for the palm oil industry. While Indonesia has been reluctant to implement a comprehensive ban on forestry in order to protect the lucrative palm oil industry, the dire economic consequences of these practices were realised in 2015. Three months of out-of-control fires and haze caused an estimated $16 billion in damages, respiratory problems for half a million people and emitted more greenhouse gasses than Germany does in an entire year. Regional neighbours including Singapore and Malaysia also suffered under the choking haze that rolled off Indonesia’s islands. The country’s environment ministry and neighbouring governments will join forces to petition the the government to extend the moratorium for another two years—the third such extension. However, even if the suspension is extended, Indonesia’s haze problems will continue. Moratoriums don’t apply to existing plantations and are ignored by those who operate the two-million hectares of illegal plantations in the country.